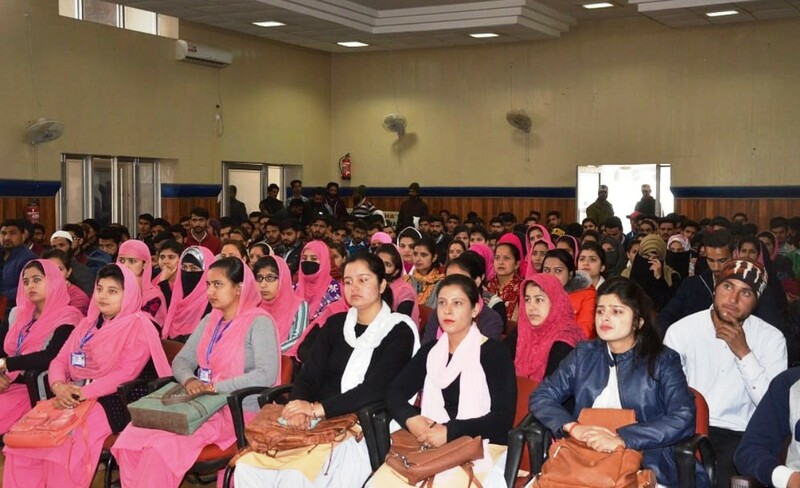 Jammu & Kashmir Entrepreneurship Development Institute (JKEDI) organized two boot camps at Kishtwar and Doda districts of Jammu division on Thursday. The camps were part of the boot camp campaign by the Institute scheduled in all the districts of the State under the recently introduced Startup policy of the Government of Jammu & Kashmir for which JKEDI has been designated as the Nodal Agency. The main objective of organizing such boot camps is to bring mass awareness about the Startup policy and to inculcate the spirit of innovation among the youth in order to give a flip to the conversion of innovative ideas into profitable business ventures. The first boot camp was organized by the JKEDI district center Doda at Town Hall Doda. The program was attended by around 210 participants and 15 faculty members from ITI Doda and Government Degree College, Doda. The program was formally inaugurated by the Deputy Commissioner Doda, Dr Sagar Difode, Project Manager JKEDI, Syed Firdous, Consultant at JKEDI, Sheikh Fayaz Ahmad, in presence of the Deputy Director DECC, Shaista Sultana, DNO JKEDI Doda, Gowhar Nazir, Assistant Faculty JKEDI, Mudasir Lone and representatives from DIC, GDC and ITI. On the occasion Deputy Commissioner, Doda shared the importance of creating entrepreneurship culture among youth in developing the economy of the country. The startup team members shared their views on the need of the startups and the innovation in the present time. They delivered lectures on the motivation for choosing innovative entrepreneurship. The action plan of the boot camp including startup policy, hackathon and grand challenge. During the idea pitching sessions around 10 ideas were shortlisted for the final selection. Another boot camp was held at Faridia Islamia Educational and Research Institute, Kishtwar. The program was attended by 260 students from various educational institutions. The program was coordinated by JKEDI District Centre Kishtwar. Syed Firdous and Dr Sheikh Fayaz Ahmad from JKEDI Startup Team conducted the boot camp. J&K Startup Policy-2018 was introduced in September 2018 and under this initiative, the Government of J&K envisages to build a robust startup ecosystem in the State to nurture innovation and providing opportunities to budding Startups.